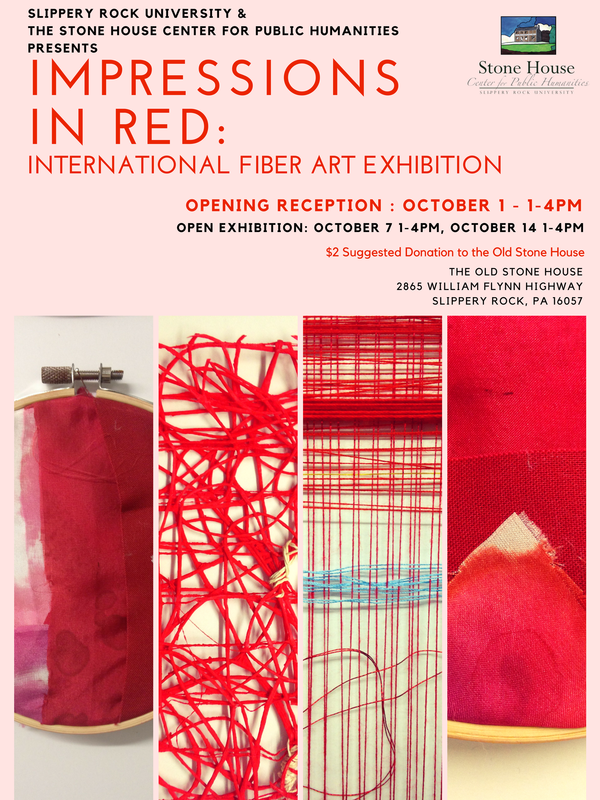 Thank you to everyone who attended our Impressions In Red: International Fiber Art Exhibition at the Old Stone House on October 1 and October 7. We received some great feedback about the show, which is part of the October National Arts & Humanities Month. If you haven't seen the exhibition yet, there's still one more showing on October 14 from 1-4PM. It's free to attend, with a $2 suggested donation to the Old Stone House. Don't forget to check out all of our other October events here.